our projects range from retroactively treating existing spaces, all the way to designing and building entire recording studios and garden production rooms from the ground up. the demand for professional personalised studios is ever increasing, and with our knowledge in design and construction, coupled with years of studio experience, it makes us the ideal choice to take any project from conception to completion. we can cover all aspects of any build, from initial design conception and planning permissions, through to furniture and equipment installation. our unique range of modular acoustic wall solutions are cost effective and quickly installed, have a look through our exclusive products. at studiobuilds we pride ourselves on designing and producing truly bespoke furniture, including consoles, workstations, keyboard stacks, rack units, doors, windows, islands and storage options. try our online acoustic calculator. simply enter your room details and we will get back to you with a free 3D design proposal. we are in the design development phase of this exciting new post production studio in hertfordshire. the complex has been designed from conception by studiobuilds, and features a range of our modular units, soundproofing cassettes and bespoke console. once the soundproofing works have been completed, our modular range of acoustic treatments, including our synth stack, will be installed. Due to the pre assembled nature of or modular system, the installation will only take a few days. studiobuilds was founded by record producer and mixer barny barnicott. having built bluebell hill studios in 2007, we have steadily grown into a distinctive and versatile company, now incorporating all aspects of design, build and acoustic consultation. 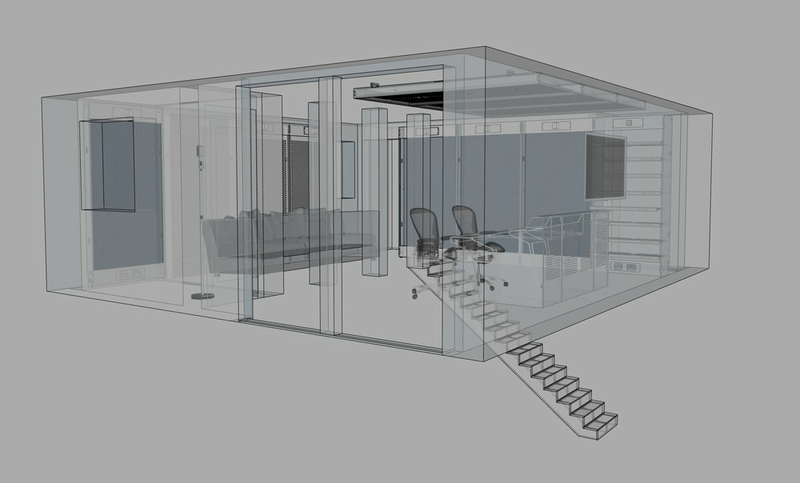 with over 20 years of working in studios around the globe, we are in the position to offer a unique insight into tailored design, coupled with the experience to see the project to completion. 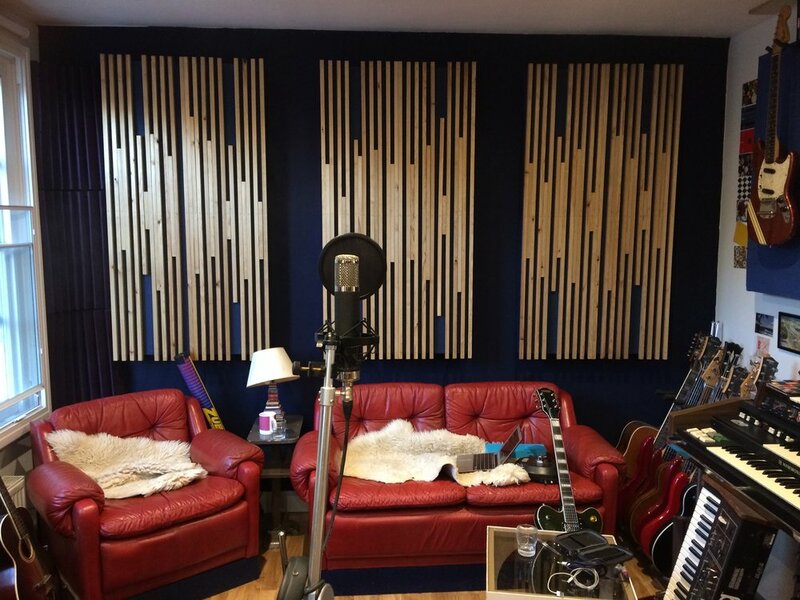 In demand rak studios producer and engineer mike horner, has recently completed his cedar clad production and mix studio. we successfully negotiated planning permission back in the summer of 2018, and have provided the construction and acoustic treatment designs to see the project through to completion. the build was finalised by installing our custom made studio furniture, including the popular hastings console, and is now successfully up and running. When I was looking to build my mix / studio space the first company i though of was StudioBuilds. They were great in the planning stage, maximising the size and quality of the building and managing to work within my budget. During the build Barny helped at each stage to keep me on track, providing me with great plans to build from and solving issues as they arose. They designed the furniture as well to create a truly bespoke space that fitted my brief perfectly.